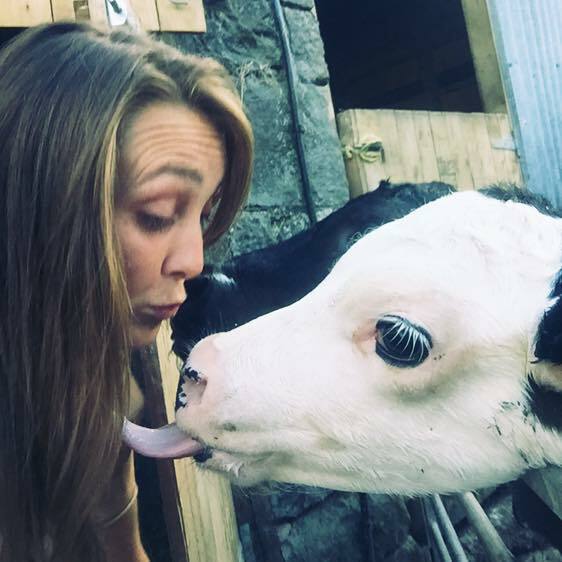 A Young Farmer who is ’proud’ to be a part of the ag industry has defended British farmers after seeing a rise in ’misinformed’ vegan posts on social media. 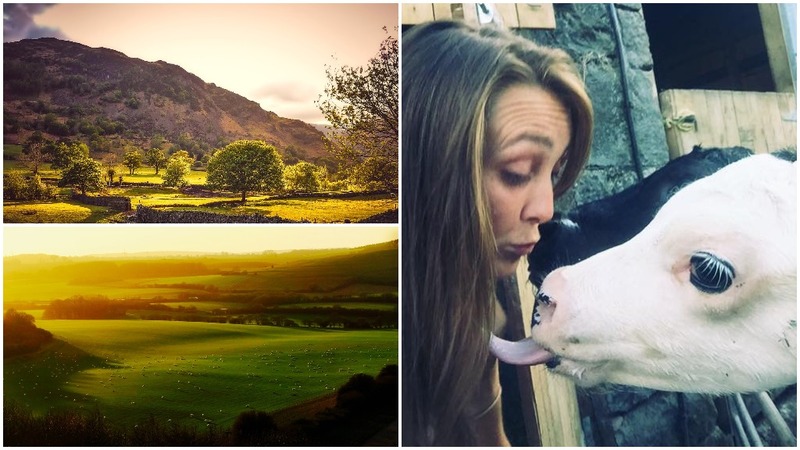 Lottie Wilson, who farms in Powys, posted her passionate views on Facebook and has been overwhelmed by the reaction with over 100 likes and shares so far. It reads: "After seeing a lot of posts on my feed about vegan lifestyles and animal cruelty I feel compelled to say something. "To quote the cat from one of my favourite films "Babe". "If you want to see animals around the countryside, they have to be eaten or used for their products. Fact. Without a purpose, they would not be bred from and would therefore die out. "But keeping animals for meat/milk/egg production doesn’t mean the animals don’t have a good life! In fact, in order to have profitable and quality produce, it is in the farmer’s best interest to have happy livestock. "Stressed animals or ones not properly looked after do not produce quality. "But money is NOT the only reason why farmers look after their stock. They do it because it’s the right thing to do! Because they are caring and compassionate. "When a dog chases and kills and injures half a flock of sheep and people say ’the farmer only cares about the money, they were bred to die’ in fact that’s not the case. That does play a part in the anger you feel - as already running on tight margins it does mean you can end up with more financial strain. "But anger also comes from the fact that those sheep didn’t die peacefully with any sort of respect and dignity. They did not fulfil their purpose - so they were wasted lives. And time, effort and energy of the farmer trying to provide a good life for them, wasted. "When a farmer wakes up every few hours a night and puts all social life on hold to check and feed a lamb whose mother has rejected it, for weeks on end only for it to die for what seems like no reason - they don’t get upset because they’ve lost money, they’re upset because a life has been lost, and not for a lack of trying! 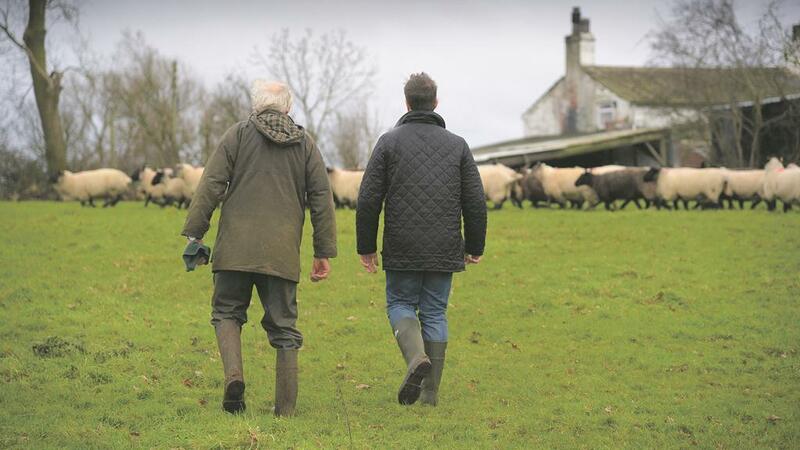 "British farmers are held to some of the highest welfare standards in the world. "The majority of what gets shared by vegan activists happens to actually be from farms abroad where factory farming with low welfare standards is still a major issue; Which is another reason to buy British meat and produce - if not even to just help support your own economy. "I will admit, some of the things shared ARE from British farms - and although some is taken out of context, some may in fact be true. However to quote Babe again - "There are many perfectly nice cats in the world, but every barrel has its bad apples"
"Not everyone that owns a dog beats it black and blue and starves it - so we don’t state that all dog owners are abusive.... Why is this not the same? "Protestors that use their time blocking lorries full of livestock from entering abattoirs and sticking cameras in front of livestock are doing nothing but delaying the inevitable and causing stress to the animals they think they understand and care about! "If they have the day off from work or don’t have a job, a more productive thing to do would be to volunteer in a rescue centre. "It is not economically or environmentally viable to have the world on a fully vegan diet. There are some areas of the country/world that would not support growing crops - so is used to rear livestock. "I suppose you could of course build houses on that land. And then with the reduction of food products and increase in population, fly in food from other countries to fill the food deficit, at the same time causing even more issues to the environment with the increased carbon foot print from importing the food. "Or you can accept that meat is a viable food stuff and the production of it is perfectly fine if it is done properly - and properly is defined by the people that have experience within the sector, not those living on a cloud surrounded by unicorns. "I’m not forcing you to eat meat if you don’t like it. But for goodness sake please speak to someone who actually knows about where food comes from! "It’s very easy to click and share a misinformed or staged photo on Facebook - but please just remember the effect it may have on a whole industry and people’s lifestyles. "It is very easy to hear the people that shout the loudest... But just because it’s loud doesn’t mean it’s correct! "The Oxford dictionary gives the definition of a farmer as: A person who owns or manages a farm. "But if you look into what a farmer really is you will find that they are a vet, a scientist, a nutritionist, a tractor driver, a handyman, a mechanic, a cleaner, a book-keeper, a caretaker, a teacher - and taken for granted. "I may not have originated from a farming background and we may not have the biggest farm. But I’m proud to be part of the industry and I hope you can all be intelligent enough to look properly into our lives."